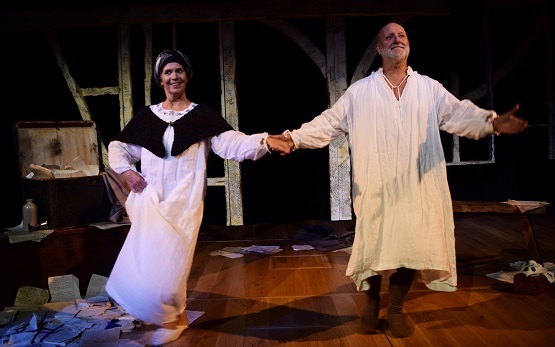 This two-hander takes us into the home of the playwright William Shakespeare and imagines some of his final hours with his wife Anne. An intimate portrayal of a man whose writing is world famous, and yet of whose private life very little is known, the drama takes us behind the door of his Stratford-upon-Avon home. Written by Philip Whitchurch, who also plays Shakespeare, there is a lot packed into this hour-long show which is performed at Birmingham Repertory Theatre's The Door until November 23. William and Anne replay their early years of love, Shakespeare undergoes a career crisis as he fears he's no longer popular, Anne is undergoing her own health struggles and both mourn the loss of their son. Throw into this mix Anne's accusations that Will has been unfaithful, Will's counter-accusations against Anne and countless other niggles which have formed their relationship over the years and you have a couple sustained by love but who are also weathering many a hardship. There is plenty for Bard-lovers here as both characters slip in and out of Shakespearian verse. One moment they are speaking like any couple and the next they are recreating speeches from Romeo and Juliet, Hamlet, Julius Caesar or other plays. Anne's proof of her husband's infidelity is his sonnets, William recreates his glory days as Bottom in A Midsummer Night's Dream and there's a nod to Shakespeare-inspired 20th century drama. There's even an explanation for why all Anne is getting in her husband's will is the infamous 'second-best bed'. But with so much crammed into such a short production Shakespeare, his wife and the dog becomes a bit of a muddle. Are we watching a comedy or a tragedy? Is there real feeling between this couple or has love been lost along the way? If they depend upon Shakespeare's verse to explain themselves is that life imitating art or art imitating life? 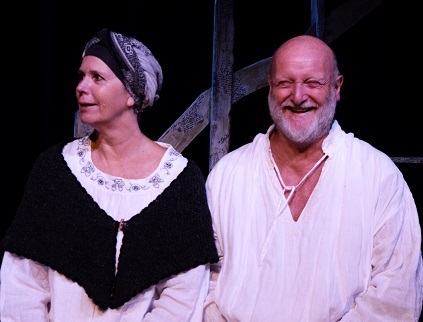 Both Whitchurch as Shakespeare and Sally Edwards as Anne keep the audience engaged but the play, directed by Julia St John and presented by Bated Breath, would benefit from more focus.